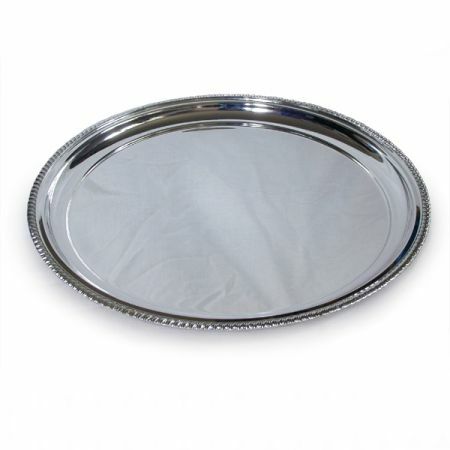 Whether you are a customer, prospective customer or visitor (in so far as the context allows) to this Web Site by placing any order from this web site you agree to accept these terms of business as set out here which apply to all pages of www.sheffieldsilverware.com. The Web Site also contains links to other Web sites, Web pages and services, which are not operated by Sheffield Silverware Ltd (“the linked sites”). We accept no responsibility for the content, services, or goods provided by these sites. 1.3. “You” means the person, firm, company or other organization who places an order for Goods with the Company. 1.4. “the Goods” means all or any goods ordered by You from the Web Site. 2.1. By making a request/order you are offering to purchase a product which we will accept to sell to you subject to the following Terms and Conditions. All orders are subject to availability and confirmation of the order price by us. We will confirm this by e-mail to the e-mail address you supply and the sending of this e-mail, whether or not it is received by you is confirmation of the details of the order and the contract between us. The contract is not deemed to be completed until the goods are despatched from us and we reserve the right to provide a refund to you if we are unable to supply the goods. 2.2. When making a request/order you undertake that all details you provide to us requesting goods or services are true and accurate. You are an authorised user of the credit or debit card used to make your request/order and that there are sufficient funds to cover the cost of the goods. It is your responsibility to inform us of any changes to these details as soon as possible. 3.1. The price of the goods shall be the price quoted on the web site at the time your order is accepted. We try to ensure that all details including prices are displayed accurately and are up to date. Obviously prices may vary from time to time so please ensure you check all the relevant details before you place an order with us. Prices may have changed since you last visited our site. 3.2. The price of the goods is inclusive of any tax but not delivery charges. 3.3. The delivery charges payable to you are exhibited on the website and may very from time to time and will vary depending on the place and method of delivery. 3.4. Payment of goods shall be made at the time your order is accepted and shall be by any credit or debit card which the company lists as acceptable as displayed on the website. 3.5. In the event that you are entitled to a refund such refund will usually be by means of credit to the credit or debit card used in the purchase. 4.1. We will arrange delivery of the goods ordered by you via our contracted courier/postal service to the address specified by you on the order form. 4.2. Order will be processed within 24 hours of acceptance and we aim to dispatch all orders within 7 days but please allow at least 28 days for delivery of goods. 4.3. All items are subject to availability and may be withdrawn at any time. If you wish to check availability please call +44 114 236 7653. If your order cannot be fulfilled you can either have a credit note or a full refund. 4.4. Time of delivery shall not be of the essence of the contract. 4.5. In the event you fail to take delivery of the goods ordered or fail to supply adequate instructions to facilitate delivery of goods, the company reserves the right to cancel your order and to retain the goods. In these circumstances the company shall refund you the price paid for the goods we have been unable to deliver but is entitled to retain all charges made for delivery or attempted delivery. 4.6. In the unlikely event there is a problem or alleged problem with goods ordered or delivered you agree to notify us within seven (7) working days of delivery in connection with any problem with goods, or twenty eight (28) days of placement of your order in the event of non-delivery of goods. 5.1. As you are buying goods over the internet you have a right of cancellation under the Distance Selling Regulations which currently give you the legal right to cancel your order within seven (7) working days of receiving the goods ordered. Please note that these regulations do NOT apply to certain items including but not limited to any bespoke orders (including items which are engraved for the order). 5.2. If you do have a right of cancellation you may cancel an order by notifying us in writing no later than seven (7) days following your receipt of the goods provide you return the goods to us in their original packaging and in a saleable condition. 5.3. We reserve the right to refuse to accept returns of items which are soiled or damaged. 5.4. As long as you comply with our Terms and Conditions and returns procedure we shall provide you with a refund for cancelled goods within twenty eight (28) days of our receipt of the returned cancelled goods. 5.5. Other than as stated in these terms goods may not be returned for any reason other than due to any breach of the consumer laws from time to time in force under which you may be entitled to a remedy eg the goods are not what you ordered or the goods are not satisfactory quality. 6.1. www.sheffieldsilverware.com and Sheffield Silverware are the registered trading name/trademarks of the company and may not be used by any other party without our prior written consent. 6.2. All visual elements, screen layouts, photographs and material displayed on the Web Site is copyright to www.sheffieldsilverware.com unless otherwise specified eg. reports or extracts from journals/articles or is copyright to our technology or content providers. 6.3. You may view, print or download the contents of this website for personal use but for no other purposes including but not limited to commercial use or re-publication. 7.1. We have used all reasonable endeavours to ensure the accuracy of the information on the web site but we provide no warranty or guarantee in respect of this information. 7.2. We accept no liability for any loss whether directly, indirectly or consequentially caused by you or any other person relying on any information contained ion the web site or in connection with any act or omission except in relation to death or personal injury proved to be caused by our negligence. 7.3. We make no representations as to the adequacy or appropriateness of the goods for your purposes. 8.1. We reserve the right to correct any error appearing in any description of any goods or to withdraw such goods from sale on the web site without incurring any liability to you. 8.2. Any descriptions relating to any goods on the web site are only approximate and the company may at any time with or without notice make any changes to such descriptions provided such changes do not materially affect the quality of such goods. 9.1. If you wish to contact us for any reason, please write to Sheffield Silverware, 27 Glenalmond Road, Sheffield, S11 7GW, England. You can also telephone our customer services on +44 114 2667070 between 9.00am and 5.00pm GMT. 9.3. If you wish to verify the details that you have submitted to www.sheffieldsilverware.com you may do so by contacting us via the telephone number, email or address provided. Stock permitting, all orders placed by mail-order or on the web are usually despatched to arrive with UK customers within 5 working days. During the busy Christmas period, we will advise you if there are likely to be any delays. In the event that an item is temporarily out of stock, we will notify you of the delay and despatch it as soon as it arrives. 11.1. The confidentiality of customers is a top priority at www.sheffieldsilverware.com. Under no circumstances will your personal information be shared, sold or proved to third parties unless you agree to this. 11.2. You will be required to provide your delivery address, payment information and email address (to receive email confirmations) but this information will not be used in any way other than as described here. 11.3. Your information may be used to enable www.sheffieldsilverware.com to respond to your requests, improve our site and functionality and to communicate with you and to facilitate the processing of orders, accounts and enquiries or to deal with complaints and crime prevention and to help us market our goods to you from time to time. We may disclose your information if we are required to do so by law. 11.4. 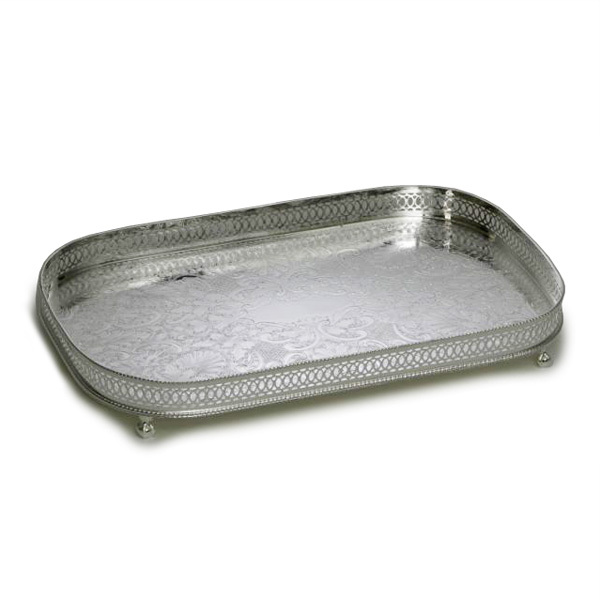 You may remove yourself from any www.sheffieldsilverware.com mailing list by sending an email to sales@sheffieldsilverware.com. Please ensure that the email address used to send this email matches the email address you wish to remove. If you experience any problems with this please telephone customer services on 0114 236 7653. 12.1. Any rights of third parties under the Contracts (Rights of Third Parties) Act 1999 are hereby expressly agreed not to apply and any agreement made in connection with this site shall be strictly between you and the company. 12.2. These terms shall be governed by the laws of England and Wales whose courts shall be the only courts of competent jurisdiction in the event of any dispute.